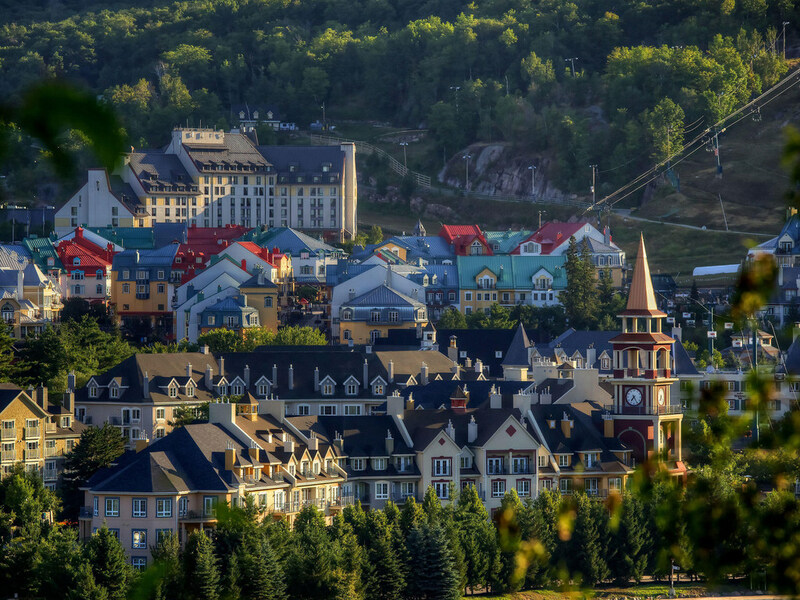 Experience the ultimate of comfort and treat yourself to the perfect location when staying in Mont-Tremblant. All of our 314 spacious guest rooms, suites and condos come appointed with high-end amenities. Our guests appreciate the outstanding level of our full service property and the convenience of our commodities including indoor and outdoor pools accessible year-round, reinvented restaurants and bar, knowledgeable concierge and VIP valet service. Relax and enjoy the rustic elegance of our spacious comfortable rooms and suites. Many of the accommodations in our exquisite mountain chateau offer breathtaking views of beautiful Mont Tremblant or the surrounding woodlands. All guestrooms feature most common amenities including air conditioning and some business amenities like High Speed Internet Access. Star of the destination, Choux Gras rivals with the great Montreal culinary brasseries. With its traditional and decadent meals to share, it promises to impress and satisfy. Innovative buffet-style service designed for guests to feel right at home. Abundance and freshness characterize the unique offering of our restaurant. Adjoining the ski in-ski out access and the landmark hotel pool terrace, this venue is friendly, dynamic and convenient. Both inside and out, it is your perfect spot for a refreshing cocktail or a casual lunch. Sharing the fireplace with the hotel lobby, our chic and casual Lounge is your hub in Tremblant for a perfect happy hour. The large central bar adds character to this unique venue where cheerful drinks and tasty tapas circulate in a trendy ambiance.